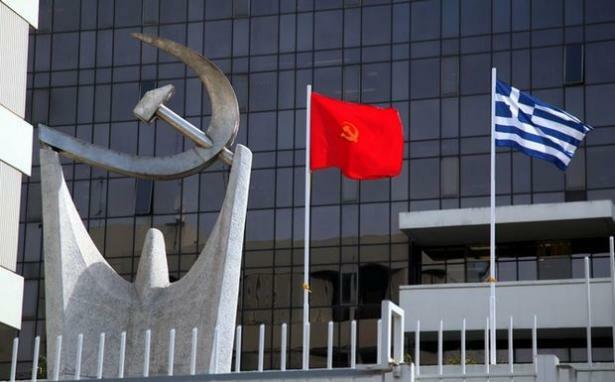 "The interview of the ambassador of the USA confirmed that the Greek government has made very dangerous- for the Greek people- commitments which are gradually revealed and is evolving into the best "dealer" of the USA-NATO plans in the region. The aim is to make Greece a "geopolitical hinge" between NATO, EU and the broader region, as it was characteristically said. For that reason, after all, the negotiations about the Macedonia naming issue are accelerated, aiming at the accession of the neighboring country [FYROM] in NATO and the EU. For that reason, the US-NATO military bases in Greece are being expanded and upgraded, with Souda being "more active than a long time ago", as a base of the military intervention in Syria. 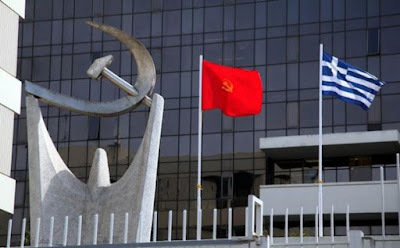 For that reason, especially Northern Greece with Thessaloniki as its epicenter, is planned to operate as the economic- political- military center for the broader region, also within the framework of the fierce competion with other powers, like Russia and China. At the same time, the U.S. ambassador "washing his hands" for the Greek-Turkish issues, saying that they must be addressed in the framework of NATO alliance. Finally, both the SYRIZA-ANEL government, as well as the Prime Minister, took credit by the ambassador of the USA for the mutation "for the better" and basically for the antipeople policy they implement, so that Greece will become an attractive investment destination, however upon the ruins of people's rights".